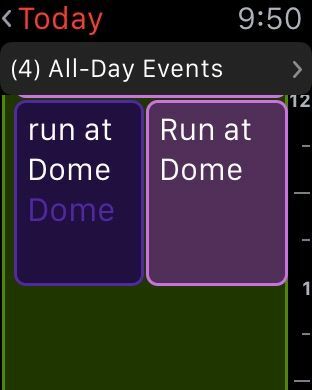 Launch your Apple Watch calendar app, and when you see the list of events, push a little harder (Force Touch) on the screen to see your view options. 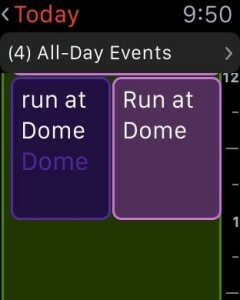 Tap on Day view to see your calendar with the same colors you’ve set up on your iPhone and/or Mac. Swipe up and down the day, or swipe left or right to change days. 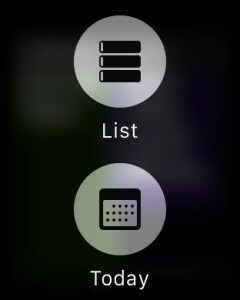 Force Touch in any view to get back to Today – simply tap the Today button when you do and you’ll go right back to the current date. To get back to the List view, Force Touch on the calendar screen in Day view and choose List. 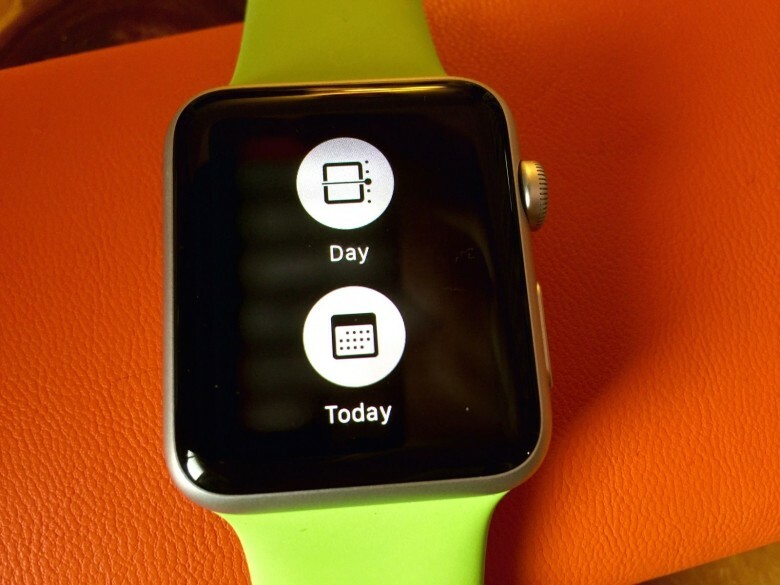 Your view choice will remain on your Apple Watch until you change it yourself.